Protecting your health and using vacation travel insurance are of vital importance when visiting or staying in Cebu and the Philippines. The tropics have a different climate and a whole host of bacteria, infections, and varying hygiene conditions that your body may not be used to. Believe me, I spent several days in the hospital when I first arrived in Cebu and my budget really suffered. Obviously, it pays to be prepared and to plan in advance for your trip concerning your health and wellness. One of the first things to do is to check with your current health insurance provider and see if they provide any coverage outside of your home country. Probably not. Next, decide what type of travel medical insurance you may need. Rates and coverage vary depending on the length and purpose of your trip. You can insure all of your luggage, as well as get life insurance coverage too. This will keep you worry free if something unpredictable happens. This seems to be more of a necessity in recent years. It is definitely a must, if you're going to a developing country such as the Philippines or venturing into unknown territory. You can cover your whole family for the time you will be on vacation and the rates are surprisingly cheap. This is not something to be overlooked. If a serious medical problem arises while you're on vacation and you need to be evacuated to a developed country's hospital, the costs can be enormous. Most vacation travel insurance plans provide for this type of emergency as well as trip cancellation and travel delay, trip interruption, lost baggage, emergency medical evacuation, medical emergency, and international terrorism. You can also get scuba diving travel insurance if you are planning on diving. If you are planning on staying for a longer period of time in the Philippines you will want to look into overseas health insurance. 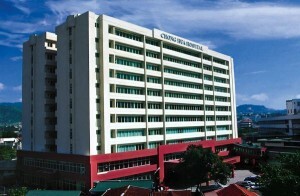 In Cebu, there are 2 primary private hospitals that can be used, Cebu Doctors Hospital and Chong Hua Hospital. They are both fairly well-equipped and staffed and good for routine medical problems and minor emergencies. For more serious medical problems most people take the option of going to the nearest developed country with more advanced medical facilities such as Hong Kong or Singapore. This is when your vacation travel insurance or overseas health insurance will really pay off. Because, developed country's medical facilities have developed country's prices. Those prices will give you a heart attack and put you right back in the hospital! * Drinking Coffee may be Healthier Than you Think! * Philippine Herbs for Sports?